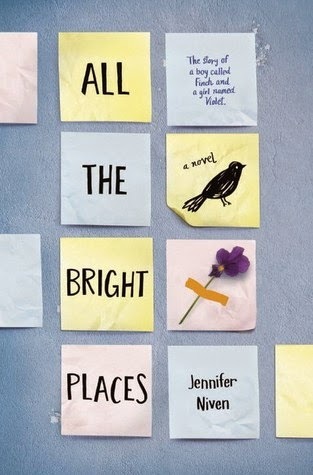 One of the first books I read in 2015 was All the Bright Places by Jennifer Niven. I have the feeling that this will be one of the big YA books of the year. It's being billed as a combination of Eleanor & Park and The Fault in Our Stars and I understand why. It's got the same sort of realistic characters in heartbreaking situations that made those two books so popular. 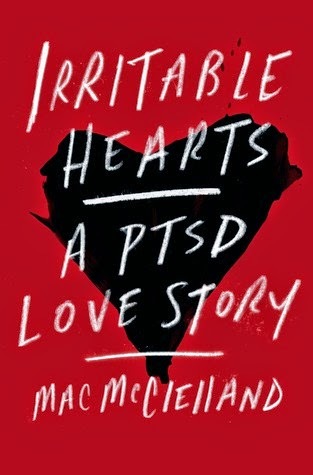 I'm in the middle of reading Irritable Hearts by Mac McClelland. It's a memoir by a human rights journalist that developed Post-Traumatic Stress Disorder. I'm relishing it even while it's making me cringe. It's a tough read but an important one. I've found that free-range reading is what works best for me. Keeping to a schedule or participating in a challenge is the sure fire way for me to end up in a slump. With that said, I usually have some idea of what I'll be reading in the near future. 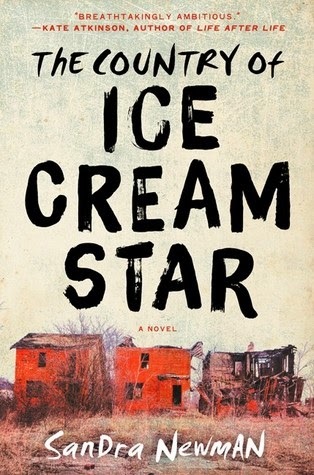 One of those is The Country of Ice Cream Star by Sandra Newman. It's a chunky 592 pages and it sounds compelling and unusual. I just read Black River by S.M. Hulse, which is a great book! http://theliteratequilter.blogspot.com/2015/01/black-river-by-s-m-hulse-faith-quakes.html. Oh, I'm so curious/excited about Ice Cream Star! I have my eye on quite a few chunksters for February, so I'm hoping I end up getting to that one. You know when you read a giant book and you end up not caring that it's 500, 600, or however many pages, because it's just THAT good? I'm really hoping that turns out to the be the case with Ice Cream Star! This meme helps me organize me reading as well - I've found it's somewhat necessary for me! I've been eyeing Ice Cream Star and trying to decide if it might be too weird for me. I'll be interested to hear your thoughts. I've also been seeing All the Bright Places around a lot lately - I don't read much YA, so am going to wait for the reviews on that one. Have a great week! I used to do this meme weekly, for probably close to 2 years. Then I drifted away... I'm glad to start it back up again! I hope Ice Cream Star is weird, but in a good way, lol. You have a great week too! I didn't know any of the books; all of them look good! You and me both, Isi! :D Thanks! I've decided to start participating in this meme, too. I'm not sure what's taken me so long to do so! I've seen All the Bright Places all over the place the past few weeks. I don't read much non-fantasy YA so I don't think the book would interest me much, but what a beautiful cover it has. I've never heard the term free-range reading before, but I like it! That's what I'm doing this year and, like you, it seems my reading mojo is back because of it. Free-range reading is the way to go! I hope you have a great week as well, Melissa. Happy reading! The Country of Ice Cream Star has a sad cover. :( I will have to check out your review. Blerg to challenges, lol. I know that so many people love them but I'm like you, I feel like I'm just setting myself up to fail! That cover is very sad and rundown looking. I hope the insides are as sad and creepy, lol. I'm a glutton for punishment. "Free range reading" ... I like that phrase. :-) I recently added Irritable Hearts to my list. It sounds very compelling. Those first two sound amazing. I spent the weekend binging on Maggie Stiefvater, so I'm in a YA mood. I think you'd really like Irritable Hearts :D I've never read Stiefvater. Am I the only one in the world? Perhaps! I've been itching to read The Country of Ice Cream Star ever since Shannon mentioned it, and Irritable Hearts looks AMAZING! I'm really looking forward to digging into it. I have a good feeling about it. I hope my intuition isn't wrong! This is my first Monday meme in a while, too. I like how it makes me feel organized without feeling overly scheduled. Oh, wow, I'm not sure if I can handle "ALl the Bright Places" if it a combo of TFIOS and E&P. Why, when I was a teenager, were my choices limited to Sweet Valley High? Right?! I absolutely know what you mean. Of course I read things that were a little disturbing or sad but nowadays those books are everywhere. I've totally missed anything on The Country of Ice Cream Star...must investigate. Looking forward to All the Bright Places. I love this meme, and it's just a nice thing to start my week. It's a simple little meme to do now that I've moved all of my personal stuff into my Sunday post. Will I ever share another actual review? Lol, maybe! I'm so intrigued by Irritable Hearts and Ice Cream Star! Irritable Hearts is fab. I'm off soon to crawl into bed and read some more, very soon. It's so stinking cold up here lately. All I want is to jack up the electric blanket and read, read, read. Interesting selection of book, I'm very interested in seeing what you think of them. In the interest of keeping myself young and having something to discuss with the whippersnappers, I'm going to have to check out that YA title. It's been a while since I read a YA. I think it's about time for one. There you go! Gotta keep yourself in the know so you can relate with the youngsters ;) I don't read them very often but this one was quite compelling and brings up some great issues.